Sunday night is that day of the week when nobody knows exactly what to do. Maybe cinema is a good option. Maybe staying home baking. Maybe… But what about some swing music to prepare yourself for the upcoming week? 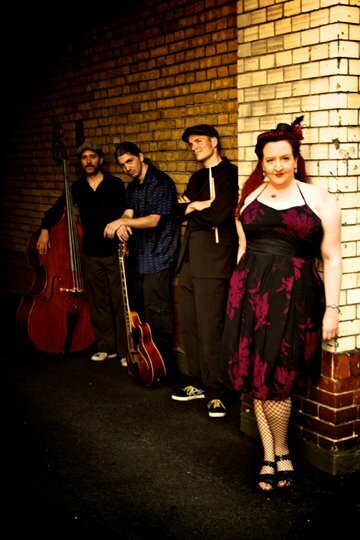 As you might noticed I’ve been to a swing class last Monday and I’m a bit in love with swing music these days. 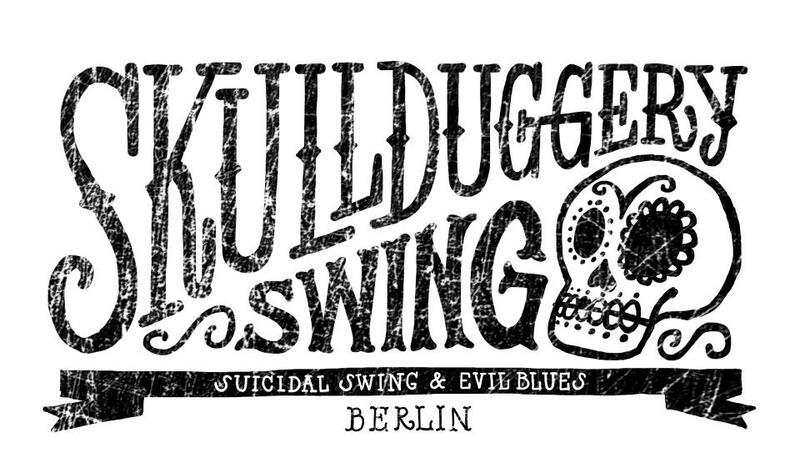 Skullduggery Swing is one of my favorite swing bands in Berlin and they are playing live this Sunday. I hope you die! I hoooope you diiiiieeee! and discover it by yourself. They are funny, great musicians and it’s impossible to stand still on their concerts. After one or two songs your feet tend to start having their own life and start beating by themselves. “I Hope You Die” is my absolute favorite song. But their “Should I Stay Or Should I Go” version is amazing too. The greatest thing of this band is the different backgrounds of the musicians and the diversity of their individual projects. Rachel von Hindman, for example, is an opera singer and one of the lead singers of Eatus Featus a punk-rock opera cabaret band. Gito Lima, the double bass player, is a Cannes lion awarded designer, and has an extraordinary roots/blues band in Portugal: The Soaked Lamb. Marcus Werner, the guitarist of the band, is a visual artist born and raised in Friedrichshain. Uranus front, a grind core band, is just one of his projects. Last but not least, Max Grevenbrock, one of my favorite drummers ever, is a drummer teacher and among other projects play drums with Kings of Spreedelta, a jazzy fast swing band. Here’s your change to hear them! And besides starting at 8 – meaning that you will be able to have your 8 hour beauty sleep until Monday morning – it’s only 5€. So, what’s your excuse again? Previous Post I’ve got New Orleans style, baby! Next Post I want a new dress!